As a city renowned for its coffee and brunch scene, it’s tough picking favorites here. But if I were to choose, Top Paddock would be sitting somewhere on that list of ‘Favorite Cafes’ (or something). I loved where it’s situated, the food, the service, the decor, the ambiance – everything. While the food wasn’t perfect nor to-die-for, it’s holistically one of the better cafes out there that I would often recommend to others. However, take note that I haven’t had a chance to be back here for a while now, and it seems that certain changes have been made to the menu. There’s something serene and peaceful about cafes that lie on the outskirts, like Three Bags Full, which provided a quick departure from the hustle and bustle of the city that I was used to seeing most of the time. Food-wise, it offered the ‘standard’ breakfast and brunch menu that I have come to expect in Melbourne, and I thought it could do with experimenting with new dishes (though I wasn’t disappointed with the unconventional Japanese okonomiyaki pancake when they did). Trying to find breakfast and brunch where you don’t want to feel let down? Three Bags Full would be a pretty safe bet. A list of Melbourne’s top restaurants would not be complete without at least a mention of Chin Chin. This Asian fusion restaurant (with a bar inside) offered uncommon, but certainly not unpleasant, food selections that certainly lived up to expectations, at least personally and for the most part. Food was remarkably exquisite and of high-quality, and worth every bit of the premium price attached to it. I’d definitely love to come back for more. Gyoza Gyoza, a cozy Japanese bar conveniently located on Little Bourke Street, was one of the few Japanese restaurants I’ve been to in Melbourne that actually offered something other than 1) sushi rolls, 2) donburi, or 3) ramen. It came to a point where I thought finding Japanese a la carte dishes in the city was challenging… Or perhaps I’ve just been looking in the wrong places all along. Nevertheless, the izakaya style bar offered an impressive selection of popular Japanese dishes, although among those that I’ve tried, some were excellent while others definitely had room for improvement. Located right across the Bourke Street/Russell Street tram stop, FOMO Thai was a highly accessible and popular Thai restaurant in town. It offered a wide range of choices for both food and beverages, including vegetarian and gluten-free options, and the clean and relatively modern interior provided a comfortable and uncluttered environment. Food here generally didn’t disappoint, and they were served quickly as well. However, differentiating its lunch and dinner menus meant that there were some items that were available only in the day, or at night. Mamasita is one of the most popular restaurants in Melbourne, which serves amazing Mexican food and tapas. However, even though the prices may seem affordable on the menu, chances are, you’ll probably buy a lot of dishes if you want to be full. Nonetheless, all of the dishes that I’ve tried at Mamasita (albeit not many) weren’t just mediocre, but all pretty good. It gets crowded really quickly, especially for dinnertime and weekends (since it has a bar), so remember to get there early. 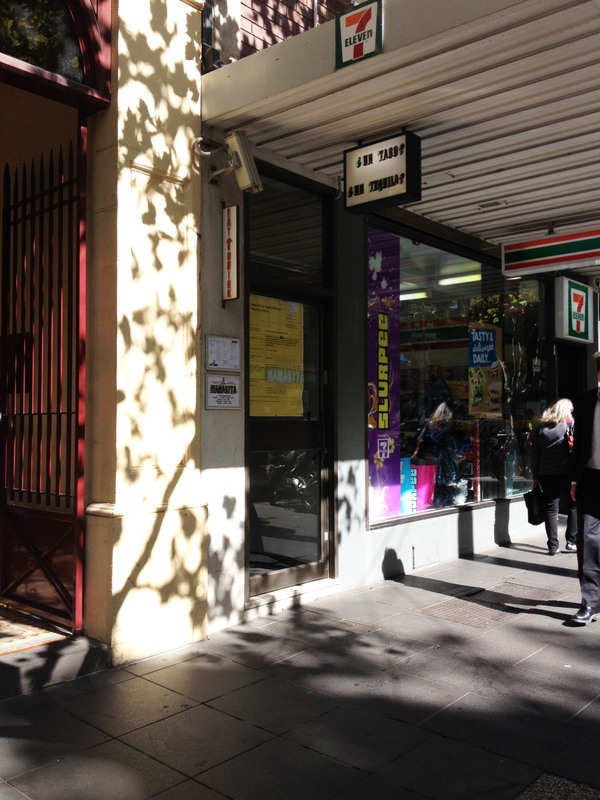 The first time I went to Mamasita, I didn’t realize the entrance was actually the little door right beside the 7-11 across the Collins St/Parliament tram station so I ended up missing it. The second time, I got there only 30 minutes after it opened and it was already crowded – I suppose it’s not considered one of the most famous restaurants around for nothing. Out of all the Thai restaurants I’ve been to, Jinda Thai’s gotta be somewhere near the top. Although several dishes I’ve tried here were mediocre, it’s got the best Pad Thai. Ever. I’ve been here twice, and on the first I was so impressed with the pad thai that I thought I had to bring my family here when they visit, which I eventually did. 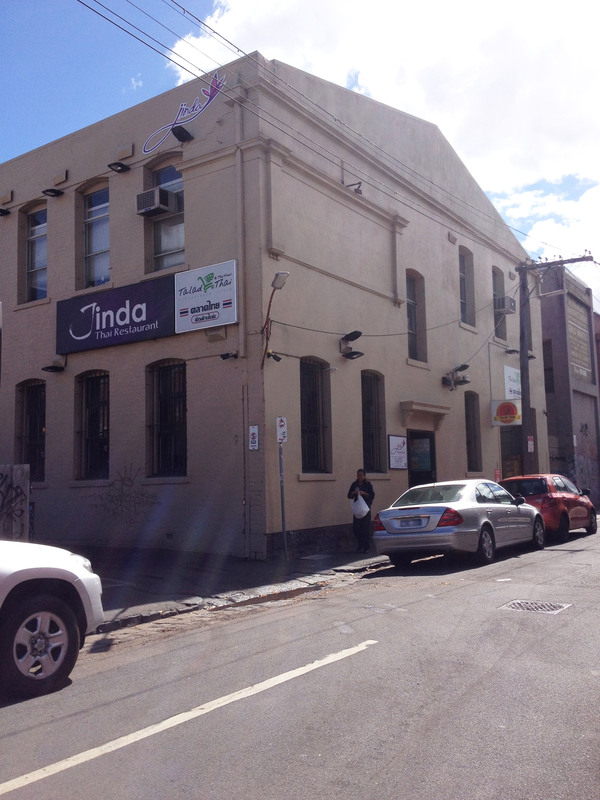 Jinda Thai is opened every day with pretty long operating hours, and is easily accessible. It is right across North Richmond Station, and you can also get there by tram, alighting at the North Richmond tram station if you take tram 109, 42, or 24. Make sure you get there early, since it tends to get crowded fast, and also bring cash with you if you’re going there for lunch. If you’re a Thai cuisine person, I think it’s worth to check out this restaurant at least once.